In mid Nov 2015, my dog Jackie and I have teamed up to open a greeting card and print shop on Etsy for the dog lovers. :D So far we have 20 items in the shop and have sold over 60+ cards and a print! We sold lots of Christmas Cards in a very short period of time before Christmas, we are so pleased especially our little Jackie, she is getting even more treats for being such a great inspiration and assistant. 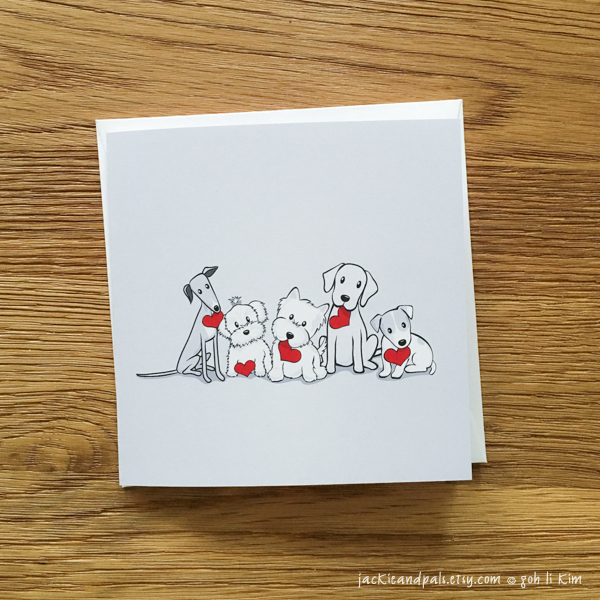 :) We are working to add more of Jackie’s pals greeting cards for the different occasions to the shop. 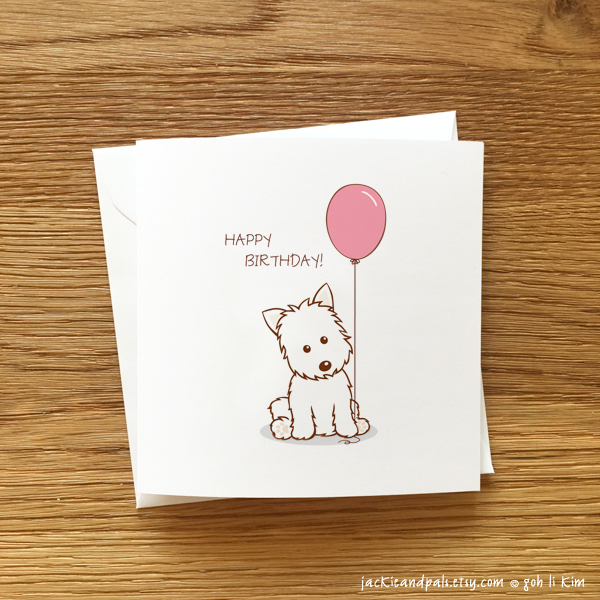 West Birthday Card with Pink Balloon. Above are just couple of many products available at the shop. 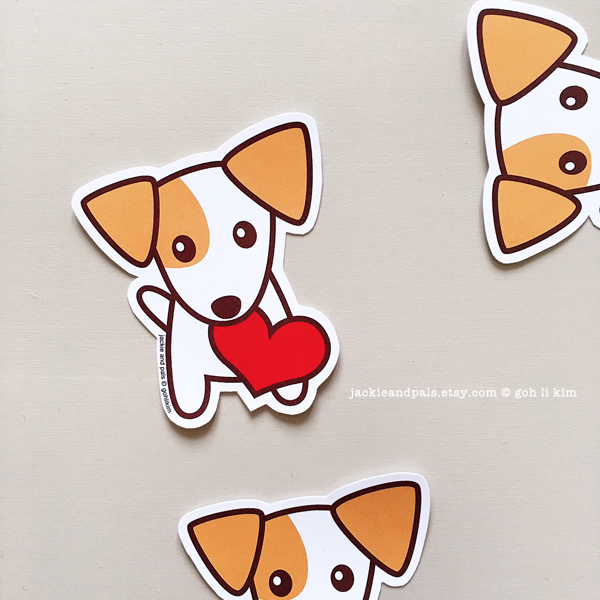 We also give away FREE hand cut Jackie sticker with any orders just to say thank you for your support!